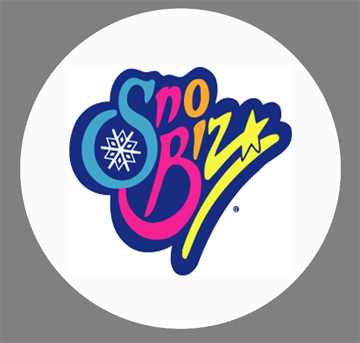 Attract your customers with Sno Biz and Bizzy branded give-aways and make your customers coming back for more! 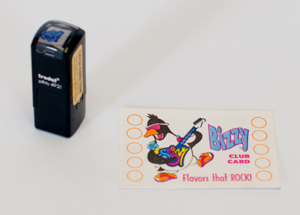 Used with the Bizzy Club Cards, these logo stamps are perfect to brand the Frequent buyer’s club card with a unique impression. Buy 10 and get the 11th free! 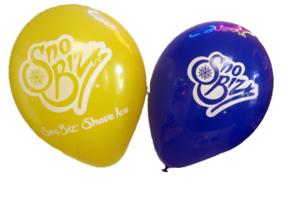 Latex Balloons in the Sno Biz Logo colors, Dark Blue, Light Blue, Yellow, Orange and Pink. 100 assorted colors/bag. Greet your customers with a name! 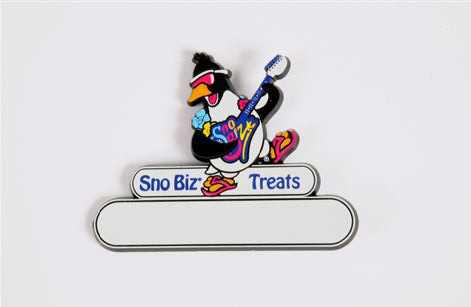 These colorful plastic Name Badges are pinned onto your employees uniform. Sold Individually. 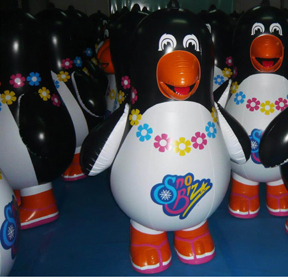 5 foot inflatable penguin that will be a great addition to any dealer location. It includes the pump, water base for stability, repair kit and instructions. 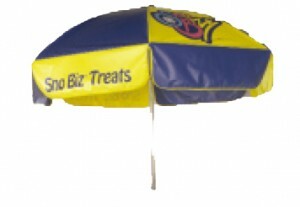 Keep in the shade with this adorable Blue and Yellow Sno Biz Umbrella. 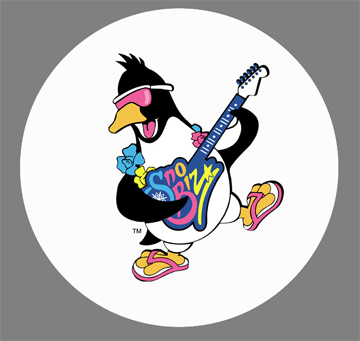 65″ in diameter and flexible to move with the sun to keep your customers or employees cool! Total height 92″, under umbrella height 65″.